I’m not fond of grim titles. In spite of it, they’re racking up on my blog index. I’ve been told that to make a point on the internet, I should say whatever I’m saying in “five words or less” and make it catchy. ‘Catchy’ sounds cute, like a song: Catchy tunes, repetition in your head. That really is what’s going on here and this post is about the biological and psychological cost of the contagion. It’s also about precious commodities, government intrusion, UFOs, mental health, life, death, and God-like powers. I could spend the rest of the summer amending this post and maybe I will (in the comments), but what I hope to do is make it a smooth read for you and say more about the speculative things I think on the subject. First though, I’ll explain the title. Conscious Evolution (see Thrive or Threat), for all its semantic permutations, is the attainment of knowledge about EMFs. To you and me, it’s about coexisting with technology that is altering the electromagnetic conditions in which we autonomically have being. Autonomy, the power of self-governance, is a benefit of optimizing design; in a society, a system, or a cell. By definition autonomy is independent of outside control. The present applications of artificial EMFs erase all previous notions of autonomy. Killing fields are the physical places bearing our grimmest reminders of war; collective impressions of slaughtered innocence; permanent losses for political, abstract and temporal objectives. Ground zeroes all, in the killing fields where Cosmic Order is punctured and replaced by manmade voids, mortification should hold us back and allow the forces that humans abandoned to refill the vacuum –God, nature, love, respect, generational time– if we were wise enough to hallow them and humble enough to accept the utter failure of understanding they represent. There is enough circumstantial evidence to suggest that Omnipoint’s Global System for Mobile (GSM) signal operations could be among the mechanisms spreading West Nile. The most remarkable thing about Devra Davis’s presentation is not her deference to Israeli leadership. It is not the professing of her own ignorance and arrogance (“I just did not believe it“..min.4…”I thought there was nothing to it —really“..min.14… “The Telecommunications Act of 1996..was passed during my administration* because we didn’t know any better. I had no idea“..min.53). It is not the call for funding or time (..”things will become clearer when..more resources are applied to studying this problem. We really need more resources“..min.37). The most remarkable thing is the statement and restatement that among the generation of children today “there will be no controls.” In medical jargon controls are the experiment contrast population meant to simulate an average, or normal, biological response versus the test subjects. Artificial EMFs erase all previous notions of normal. >>> news story, “Phones Gain Ability to Learn By Touching”…”known as Near-Field Communications, comes from companies that see the phone as the wallet of the future. When touched to payment terminals, NFC-equipped phones can act as credit or debit cards.” http://news.yahoo.com/phones-gain-ability-learn-touching-213934413–finance.html More impressive is the NFC-capable phones of exchanging data: “Near field communication..and similar devices..establish radio communication with each other by touching them together or bringing them into close proximity, usually no more than a few centimetres.” http://en.wikipedia.org/wiki/Near_Field_Communication Imagine someone bumping into you and accessing all the data in your phone. Follow the links for wikipedia’s NFC and you’ll find the Biometric Passport: “The currently standardized biometrics used for this type of identification system are facial recognition, fingerprint recognition, and iris recognition…” http://en.wikipedia.org/wiki/Biometric_passports. Bump. Contact would actually be theatrical at this stage of the game. The technology already exists to harvest all this data remotely, including the scanning of iPhone images for medical diagnosis. See comment 3 ‘Future phones’ for more info on biometrics. There is no logical reason to think that Near Field Communication couldn’t employ Smart Meters for in-house phone taps. Expanding cell service also now includes Wireless Emergency Alerts: “..starting April 2012. Wireless providers representing nearly 97 percent of subscribers are participating in distributing wireless emergency alerts.” These text-like (but not) messages are of 3 types: Presidential Alerts, Imminent Threat Alerts, and AMBER Alerts. “Mobile users will not be charged for receiving these..and are automatically enrolled… Users will have the ability to opt-out of the AMBER..and/or Imminent Threat Alerts but not the Presidential Alerts.” http://www.crh.noaa.gov/hun/?n=wireless_emerg_alerts –say what?–a spin on “Greetings, take us to your leader”?? –Aug., U.S. Air Force reveals techniques on “Owning the Weather” http://www.chemtrails911.com/docs/00_2008/Chemtrails%20Timeline%201.htm…………..
Another part of the story has roots in the late 60s with the development of genetic recombination and the successful achievements of Paul Berg combining E.coli with the SV40 monkey virus “transgene”. SV40, an ingredient in mass-produced vaccines of the 50s and 60s along with HeLa cells, readily ‘expresses’ its genes under the influence of radiofrequency. The rapidly proliferating, gene-swapping E.coli are the most natural bacteria vector in the mammalian life-cycle. “It may be that certain populations of proliferating neurons in the adult can be damaged or destroyed by relatively low doses of radiation…changes in brain metabolism were reported after very low doses of ionizing radiation..measuring local cerebral glucose utilization. What becomes clearer is that EMFs and fallout produce identical types of damage to cells and tissues and that our governments have known it for many decades. http://polioforever.wordpress.com/radiation-injury/ Fallout injuries, in fact, were studied with X-rays and may or may not have included additional chemicals (as the category of ‘combined’ injury). The comprehensive view on biological impacts from EMF radiation takes into account that in 2006 Qualcomm CEO Irwin Jacobs took the seat of Chairman on the board of the Salk Institute for Biological Studies, our paragon of “metabiology” since the 1960s. One of the Salk’s longest and most beloved Directors, Frederick de Hoffman who died in 1988 of AIDs, was a Manhattan Project veteran as assistant to Edward Teller and the founder of General Atomics, the subsidiary of General Dynamics. Without de Hoffman, nuclear historians say, the hydrogen bomb would have taken much longer to figure out. The Salk Institute has always been a scientific refuge for leading stars of the globe from its business chiefs to associate intstitutions; working partnerships with Scripps, Rockefeller U., Cold Spring Harbor Lab, the Weizmann and Pasteur Institutes in particular. This constellation of private laboratories, of which the Salk is newest, are the biological faces of advanced weapons in the west. The model parent, Pasteur, could fairly be called the “mothership of metabiology”. It’s westernmost counterparts became integral proving grounds for the University of California feeder system. Some of the most prodigious academic work on EMFs has been generated out of the UC schools (i.e. Berkeley, UCLA, UCSD). –okay, now, that’s just a little frosting for the shrinking cake. Wondering whether grocery counters are using these frequencies? The answer is Yes –maybe yours– and puts a touch of irony in the option for “Self Check-out”. –no ethical problem getting humans to grow their own cancer with the help of cell towers, though. People willingly ingest nanoparticles for “health’ so it’s worth knowing how the mechanism works; the RFs ever-so-lightly heat up the nanoparticles to artificially warm the ion channels to ‘operating temperature’, which is cell-signal language for friendly “incoming” messengers (electrolytes); the cell then depolarizes its membrane in advance of an efflux/influx of nutrients– or transgenes and nanoparticles. I’ll have to add this technique to my list of reasons for not drinking colloidal silver. https://jenniferlake.wordpress.com/2009/08/17/colloidal-silver/; This method is also the same principle at work iron oxide-containing aerosol particulates. Normal wakeful brain activity is called betawave: “Beta is the frequency range from 12 Hz to about 30 Hz…” Soundwaves below hearing range are called infrasound and characterize the frequencies generally used in Active Denial systems (ADS). –light-sounding snaps, ticks or clicks picked up by the ear are not hallucinations. If you can hear it, you’re being microwaved. The sound is produced by rapidly expanding cells. Go ‘head. Brainwash yourself. Our ‘security’ agencies can repurpose the funds. “We know the technology exists to put voices in people’s heads, and to control their emotional states, and it can all be done invisibly…using the Pentagon’s silent sound spread spectrum technology, patented for decades and no doubt beyond our imagining in 2012. Perhaps his behavior could have been switched to the emotional signature cluster of a rabid animal… So at some point we expect them to tell us that there is a horrible disease, a form of weaponized rabies or mutated chimera virus, some such thing, that causes this ‘zombie’ problem.” http://twelfthbough.blogspot.com/2012/06/remote-controlled-fairy-tale.html. The media put out the word that the Miami attack ensued after Eugene took a ‘bath salt’ street drug but the toxicology came back negative. Now, officially, the “mystery deepens” in a case so strange that there is hardly a conclusion to make other than the perpetration of a staged-managed horror using targeted individuals. 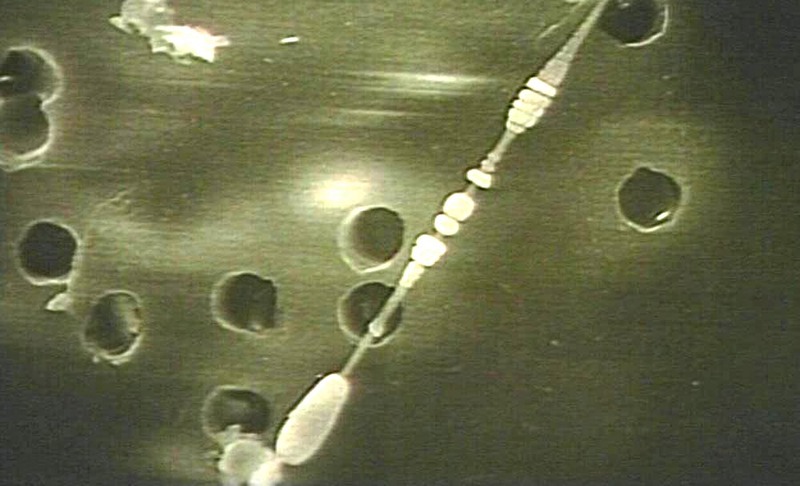 Electrical Incapacitation (EI) “devices generate sufficiently large transmembrane voltage..such that pores were created… More extensive EP [electroporation] is expected from the TASER X26 [than the Aegis MK63, as compared]..due to the approximately eight-fold difference in the peak magnitudes..” http://www.ncbi.nlm.nih.gov/pubmed/19964168. During 2004-2005 many metro US police departments were transitioning to the TASER X26. Do you think that we are really generating electro-magnetic fields or are we just making use of naturally pre-existing fields? In other words do you think we are in more danger from “artificial” fields should we be producing them? If that makes sense to you. e– Without a doubt we’re generating EMFs at dangerous levels and frequencies from technology BUT exploiting natural fields, such as Earth’s magnetosphere, is a big part of the future picture, I believe. At the moment I can’t tell you about any nuts-and-bolts equipment for exploiting space as an energy source (other than solar panels! see ‘lightsail’ propulsion http://en.wikipedia.org/wiki/Solar_sail)– doesn’t mean it’s not out there. Things I’ve come across all require power and signal inputs –that these can modulate, amplify, and redirect existing fields is plausible. I think it’s more realistic though to observe the very low power advancements coming from conductive metamaterials and microcircuitry. (check this story on “battery paint” http://news.yahoo.com/scientists-develop-spray-battery-161741263.html ) Development here may well bring some meaningful uses from natural and weak EMFs. DARPA, I expect, is all over this. In the meantime, I’ve been concerning myself with health issues for individuals. EMFs come at us from so many sources that any amount you can personally reduce is a good idea. Some of the dirty electricity sources are surprising. Plug-in clocks/clock-radios designed for your bed-table, for example, are consistently nasty little producers. I’m sure you can find websites about ‘DE’ appliances. (‘DE’ is used to mean Directed Energy; my abbreviation applies to Dirty Electricity). According to Devra Davis, Israelis advise their people not to use cordless phones in their homes. I’ve worked long-term with a number of Alzheimer’s patients and you don’t want any part of that. It’s a terrible suffering far beyond what people usually think, so YEAH, my opinion is take EMFS very seriously. The most complicated aspect is the “combined” injury effects which is so rarely ever enumerated. On the subject of ‘battery paint’ in relation to this post and the applications of RF and iron oxide nanoparticles, the IO has been a long-used additive to paint for pigmentation. The unburned “nanothermite” in 9-11’s WTC debris suggests to me that it was not there as an incendiary but as a circuitry and power-transforming aid in the demolition. Mechanical resonance is the tendency of a mechanical system to absorb more energy when the frequency of its oscillations matches the system’s natural frequency of vibration than it does at other frequencies. It may cause violent swaying motions and even catastrophic failure in improperly constructed structures including bridges, buildings, trains, and aircraft. When designing objects, Engineers must ensure the mechanical resonance frequencies of the component parts do not match driving vibrational frequencies of motors or other oscillating parts, a phenomenon known as resonance disaster… Like mechanical resonance, acoustic resonance can result in catastrophic failure of the object at resonance. The classic example of this is breaking a wine glass with sound at the precise resonant frequency of the glass, although this is difficult in practice. Your article on EMF is both brilliant and stunning. I’ve been researching the EMF issue for quite some time, as I’ve become highly electro sensitive, and so having serious physical problems. Also your follow up in the above post, is well supported by sound wave propagation dynamics and acoustical theory. Thanks, Paul, ‘ppreciate it. http://www.polioforever.wordpress.com has ‘getting well’ suggestions addressing the issues of radiation –scarily, the biochemical process of AIDS and polio-like ills– free radicals, oxidative/nitrosative stress!I hope the info there is something you can use. Btw, not addressed there yet are issues of quality sleep and brain chemistry. The em disruption seems to primarily affect the production of GABA and melatonin. During sleep, critical to health and memory, we’re vitally manufacturing our most important healing hormones (like HGH) and coordinating the brain’s recording and storage systems –fascinating. Hope to post on it sson. Thank you for your intelligent post on this topic that is actually about the survival of human life (and other life). My state of WI is not (yet) one of them. I and others need to opt out. Some are feeling sick. Even with a doctor\’s letter no one can opt out. There is red tape and legislation will not even be possible until 2013. Some people are having to spend time away from their own homes. Is this America anymore? Thankyou Jill –I hope things change for ratepayers up your way. I don’t believe the intention is to allow general human survival: drones– good, humans– bad. RF is bringing in a new biological platform –ultimately a constructed and engineered ‘metabiology’, and it’s happening fast. Meantime, I fully advocate taking personal measures to screen off intrusive RF. The screen grid inset on the front door of a microwave oven is an indication of deflected MW –in the post it mentions “fly screen” blocking MW in the Allen Frey experiments. Metal screen on the inside or outside of the smart meter wall will help. Additionally, there are sophisticated (but expensive) fabrics and paints for RF shielding available– a worthwhile one-time and portable investment if used like a curtain or stiff folding-screen panels. Cheaper than getting sick. See the documentaries “Public Disclosure” and “Full Signal” for a demonstration. Maybe some vandals will come by and knock that thing off your house with a nine-pound hammer… I mean, I hope that doesn’t happen to you and some better off-grid solutions present themselves. all the best to you in WI. –consider an “open cage” of your own making that screens off the back and sides of the meter (therefore permitting a forward signal but deflecting away from your home) Unfortunately, this video highlights the hazards of meters along the street which exposes everyone who passes by, so its a bandaid and no real solution, but one that may tewmporarily help. Right on again. There is quite an interesting chain of events and funding behind the “Smart” meter issue. http://www.theforbiddenknowledge.com/hardtruth/adl_intro.htm is quite an interesting read. “Starwisp: A Maser-Pushed Mesh Probe. It is one thing to know you are right. It is quite another for others to recognize how right you are. Your insight is not just music to ears suffering acoustic shock, it is positively symphonic. You’re welcome, and thankyou John. This subject is so important that there’ll be lots more about it here as time goes on. This is an outstanding article. Thank you for the hard work and research. Do you see a moment in time where the 3g/4g networks ‘amp-up’ and deliver a continuous, unbroken message directly into the minds of anyone within range (which is most people) in a sort of fake end-time? Richy –I see this as more of a “blank slate” creation. The end-time messaging has been all around us since the 50s so I think that part of the psychology has been a success; fear of the future seems to permeate everything in the U.S. which makes people very eager to collectivize for “survival”. The social behavior of constantly having to stay-in-touch is a manifestation of that fear, imo. The wireless networks, on the other hand, are profoundly biological and destructive to life as we know it. What’s coming is life as we never knew it– a total global physical reorientation that science hopes to control. If the ‘designers’ fail to make transhuman staging a compatible process, it’s the end of us. Some new species will emerge from our tattered remains– human-like perhaps, which may be what the Post-Human is anyway. End-times are here. Dire as that sounds, I still think it’s basically a Biblical template which presages a New Age –a time to come of supreme and absolute technology by which posthumans will be sustained until that too passes away. So, to borrow from the BORG, the lessons of the present from the enforcers are meant to teach that Resistance Is Futile –doesn’t mean any of it’s realistically true or that the Tipping Point isn’t also just a line-in-the-sand– but since the game appears so psychically successful, they win by holding on. Every day, there’s a new antenna on somebody’s street, by the thousands all over the world. The people will lose, as I see it, when their health has been undermined to the point where resistance is impossible, neverminding what may be thought or perceived. It’s hard to stop that biblical freight train, as it’s been getting steamed up real good for the last 2500 years. Always thought that it was some unrecognized biological program, which may suit the idea of retroactive population control; only it’s become the industrial strength model. I thought this may be of interest. I have been sharing the following material with researchers for some time. An investigation into the possibility that Nano-fibres behave as “Nano-Blenders” within plant & animal structures due to the effects of electromagnetic radiation (both abundant in the modern environment.) This idea was drawn from the experience of a long deceased uncle, an engineer who built crystal radios. He was a much loved mentor. Please note because this is a work in progress, additional links & images are used to support the ideas I express. Fibres of fibre glass, asbestos, titanium dioxide, silicon dioxide or similar vibrate in situ, when subjected to various frequencies of EM radiation, cause them to behave as “Nano-Blenders”. The injury to the surrounding cell structures by the homogenizing of their adjacent material provides a medium for overgrowth of various pre-curser elements of cancers and other diseases. The speculated sensitivity of the fibres to vibration/spin/rotation induced by electromagnetic fields seems to induce a polarity along the fibre. This seems to be evident when one examines some classical images for partial or complete farraginous bodies. False-col SEM of lung macrophages in asbestosis (this image is recent 7/11/2012. It supports my original idea). 2. The ferruginous bodies which forms around asbestos fibres would seem visually to support this theory along with the possibility that a polarization seems to develop attracting the homogenized particulate of shredded cellular material to the opposite poles of each asbestos fibre. (proviso: that the particulate is magnetic). 4. Other homogenized cells may contain other non-magnetic material, and may behave differently resulting in the banding seen in various positions along the length of farraginous bodies. 5. Further the spin I am postulating seems to be evident in the image from Dr. Ed Friedlander’s website. http://www.pathguy.com/sol/09834.jpg this is the original image I found that seemed to support my thesis. The needle in the hay stack so to speak. 6. Where the ends of the asbestos fibre would seem to be cutting holes in the adjoining material or cell structure. 2. These samples are subjected to various electromagnetic fields and viewed with a video recording microscope. 3. Any spin, rotation or induced deformation may be noted and assessed for the potential to homogenize surrounding material. if o.k. with you i would like to use some of the text of this article in a full page ad i am taking out in a local paper making the case for removal of wi fi from the schools. –yours for the asking and good luck with the ad!